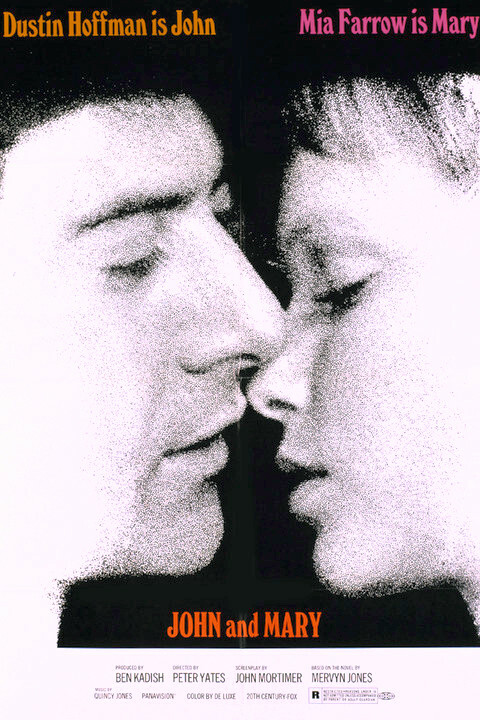 John and Mary is a 1969 American romantic drama film directed by Peter Yates. It stars Dustin Hoffman and Mia Farrow in the title roles, directly on the heels of Midnight Cowboy and Rosemary's Baby, respectively (as well as Bullitt for Yates). The screenplay was adapted by John Mortimer from the Mervyn Jones novel. It was released theatrically in North America on December 14, 1969. It received an R rating upon its original release, which was later downgraded to a PG rating.